The museum trustees have decided to investigate the possibility of organising further Day / Night Shoot events in 2019. The museum is currently investigating potential dates in February/March 2019 and October 2019. 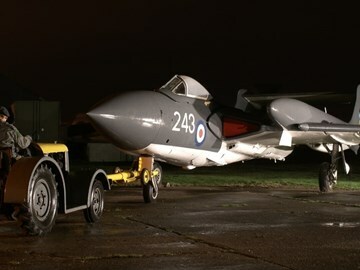 The aim would be to fix dates quite quickly and to try not to clash with other aviation Night Shoots. ‘home-grown’ re-enactors; we are currently assessing what aircraft to utilise and what fee to charge. At the moment airframes being considered include: Buccaneer, Cessna 310, Sea Vixen (each due to be in new markings), Shackleton (external & internal photo opportunities), Puma & Chinook (internal photo opportunities). We will aim to acknowledge the receipt to your emails within 24 hours!